Department of Commerce CISO Rod Turk. Turk and Mark Kneidinger, director of Federal Network Resilience (FNR) Division for the Department of Homeland Security (DHS) both said at MeriTalk’s Cyber Security Brainstorm that there is no silver bullet to a predictive cyber posture. They said that most Federal agencies are drafted to be defensive and reactive rather than offensive and predictive. 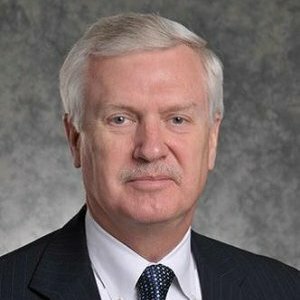 One solution to assessing risks and predicting attacks is DHS’s Continuous Diagnostics and Mitigation (CDM) program, according to Tim McBride, Director of Operations of the National Cybersecurity Center of Excellence at the National Institute of Standards and Technology (NIST). CDM, which Kneidinger described as a part of the silver bullet, offers tools for Federal agencies to identify cybersecurity risks on a continuous basis. Information security continuous monitoring (ISCM) data helps agencies using the CDM program assess risk, according to Kneidinger. While Turk claimed that the CDM program is the centerpiece of the ISCM program at DOC, Kneidinger said that agencies need to create a more robust ISCM plan. In addition to the CDM program, Turk said that returning to basic skills of protecting hardware and software is important to the future of cybersecurity. He compared cybersecurity to the Green Bay Packers, his favorite football team, stating that agencies need to master how to block and tackle in order to defend against threats such as malware. He said that sophisticated threats were just as dangerous as the 15-year-old in the garage next door launching malware from his computer.